The only portion of North Carolina I am at all familiar with is Great Smoky Mountains National Park. I know the state is home to some fantastic woodlands and waterfalls, and one day, I'll make some time to do more exploration and photography in the area. 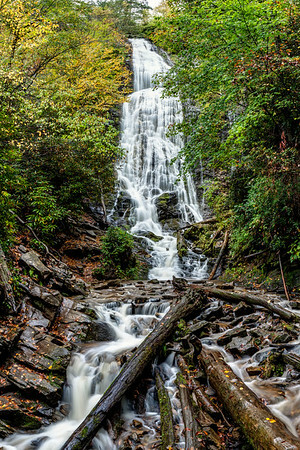 At 120 feet high, Mingo Falls, which is located in the Blue Ridge Mountains of North Carolina, is one of the tallest in the southern Appalachians. Available in the following sizes (Rectangle B): 8x12, 12x18, 16x24, 20x30, 24x36, 30x45.